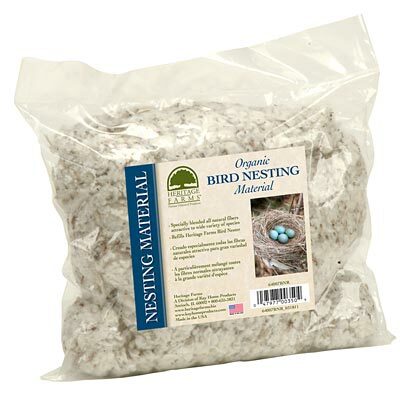 Help birds create cozy nests by placing some of the Heritage Farms Bird Nesting Material in your garden. This all natural, blended fiber has been specifically created to attract a large variety of birds. Insert the new fibers into your nesting material dispenser when the original fibers are running low, enabling more birds to line their nests. Help your feathered friends build their perfect home by providing nesting material with this Bird Nesting Material. Made in the USA.